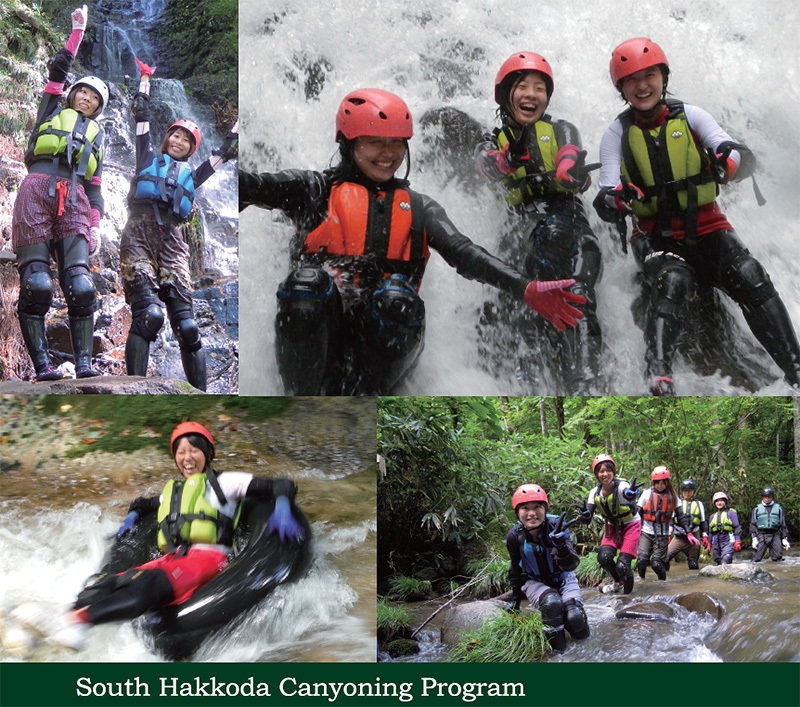 South Hakkoda’s highest peak- Keshigamine is the source of the natural wilderness that will satisfy with the visitors with its beauty. While admiring the splendid landscapes that you cannot find even in the guidebooks you can enjoy floating on the gorge’s river and experience Shower Trekking and Canyon Trekking, two activities that Omoshie School recommends with confidence to everyone. * The participating people should be 18 years old or older and in good health. * Please join us with a group larger than 2 people. * See you when you get here! Enjoy floating downstream the gorge in the tube. You can enjoy the calm waters on the beginner’s course or the thrills of the rushing currents on the intermediate course. *You can rent free of charge a helmet, floating jacket, elbow and knee protector. *In order to protect your skin against possible injuries please cover your skin as much as possible. See when you get here! Since this is a program that you can enjoy outdoors there might be times when we have to change or cancel the course for safety reasons. Please refrain from bringing your digital camera to the river- you might lose it. Thank you for your understanding. We are looking forward to seeing you soon!